Do you suffer from nightmares? Are you a therapist or a healer? Your physical immunity is not the only thing that needs an occasional boost/ sometimes your psychic immunities need extra protection from invading energies, too. The simple and effective psychic protection tools explained in this book include visualizations, flower remedies, gems and talismans, as well as practical advice for avoiding psychic compromises. An internationally known author, astrologer, psychic, healer, broadcaster and workshop leader, Judy Hall has been a karmic counsellor for over thirty years. Her books have been translated into fifteen languages. 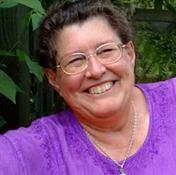 Her specialities are past life readings and regression; reincarnation, astrology, psychology and natural forms of healing. Judy has a B.Ed. in Religious Studies and an extensive knowledge of world religions and mythology. Her mentor was Christine Hartley (Dion Fortune's metaphysical colleague and literary agent). She completed her Masters Degree in Cultural Astronomy and Astrology at Bath Spa University. A Dream Come True or Your Worst Nightmare?